A whole space organized by Kikids – jobs for kicks will be dedicated to children on Saturday and Sunday 1pm to 7pm. A small “Village” will be set up, where kids will be entertained with free, creative manual activities, games, and two daily workshops lasting 60 minutes each. Kids can enroll directly on site. Most of the events (music, food, beers, kids’ entertainment) will be hosted in Borgorose’s Municipal Villa. You can find it on Google Maps, that green triangle in between Via delle Ville and Via San Francesco. Yes, that’s it! Other activities will take place in the New and Old Brewery (see program). When shall I arrive to the BdB Day? You can come and go as you please, 6pm-1am on Friday, 12pm-2am on Saturday, 10:30am until sunset on Sunday. If you are interested in some specific activities, please check the event’s schedule. Entrance to the Villa, concerts, guided tours to the brewery, kids’ activities are all free of charge! Only food and drink consumptions should be paid for. How does food and drinks’ payments work? It is necessary to buy tokens (1euro) at the cashier. With a token you can get a 0,10cl draft at your choice, with 2 tokens a 0,20cl, with 3 tokens a 0,30cl. Food consumption will cost 1 to 3 tokens depending on the choice. Draft beers will be served in biodegradable glasses in an environmentally friendly way. A glass + 8 tokens combination will be available at 10euros, to enjoy your beer at your best! Otherwise, the glass will cost 3euros. On Sunday morning cashier will be available also at the New Brewery to buy tokens at the end of the tours. Can I buy beers at the BdB Day? A Birra del Borgo dedicated space will be available for purchasing bottles and gadgets. In this case payments must be done cash or with debit/credit card. Will I be reimbursed if I don’t spend all my tokens? We’re sorry, tokens can’t be reimbursed. You can use them to buy bottles to-go, but any leftovers will not be reimbursed. Is it possible to pay with debit or credit card? Yes, POS system is available. How do I get to Borgorose, and how do I get home? On the Cotral website – www.cotralspa.it – you find the bus schedule from Rome’s Ponte Mammolo station to Borgorose (the bus terminal is very cose to the Villa). Service is lowered during the weekend though, and there are no convenient trips back to Rome at night. If you cannot find a designated driver for the car and don’t want to sleep in Borgorose, we suggest that you check with the many bars/pubs which are organizing busses to the event. Some of them are Beer Travels (click here for more info), The Golden Pot www.thegoldenpot.it (Danilo 328.49.56.920), Luppolo 12 you can reserve your spot in Via dei Marrucini 12 or writing an email to info@tourismotion.com (name, last name, phone number, number of spots required). 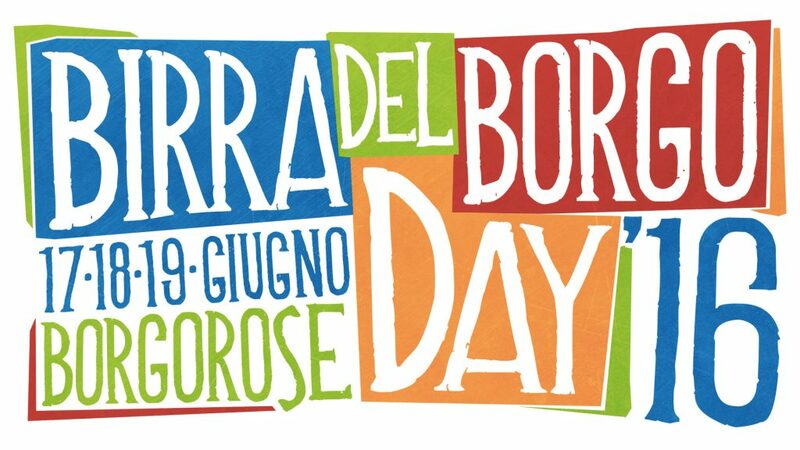 Besides these, other places and cities are organizing new ways to get to Borgorose, check online! Where can I sleep in the Borgorose area? Here are some suggestions on places to sleep in the area. Make sure you check in advance prices and availability: Casali di Cartore (Borgorose). Info contact: +39 348 98 19 343 info@casalidicartore.com , Hotel Olimpia (Avezzano), Motel Belvedere (San Pelino di Avezzano), La Duchessa (Borgorose), La Rocca (Corvaro), Tenuta Placidi (Sant’Anatolia, tel. 339.8277277) Camping Isola del Salto (Fiumata). In cooperation with the city of Borgorose, the city’s recreation field will be at disposal for those who want to bring their tents (no caravans or campers admitted!). Toilets and showers will be available (to be treated with decency). Space is limited and reservations are not permitted, spots can be taken from Friday morning upon arrival. The sooner the better! Do I need to book workshops and visits? Visits are free, following rotating shifts as stated on EventBrite. Of corse you can, children are welcome! On Saturday and Sunday, 12 to 6pm, Kikids will prganize entertainment for them. Can I bring dogs/cats/exotic animals? Everything that’s legal and can be easily controlled in respect of the event’s participants can be brought. However, no entertainment has been set up for them.